Director of Tourism Laura Esquivel-Frampton is resigning from the BTB. She packed up her possessions at the office today - and is not expected back. It's a dramatic development in this major industry - and as we understand it, hers is not a happy departure. Through she is resigning, best information tells us that she was pushed out of the job in what can only be called a "palace coup" orchestrated by her executive management team which lodged a dramatic vote of no confidence in a letter to the minister last week. The letter points to what they say is a lack of leadership, and poor fiscal management that led them to put forward a no confidence vote. The letter tells Minister Manuel Herredia, that, quote, ""we firmly believe that the organization and industry deserves a leader who leads." It warns him that quote, "if decisive action is not taken at this time, it will lead to an even worse position," end quote. It seems things came to a head as a part of the BTB's ongoing budget exercise in which Esquivel-Frampton had proposed budget cuts which the management team says will, quote, "surely work to contract an industry that employs one in four Belizeans directly," end quote. The letter is signed by 7 managers who form the executive management team. After this unprecedented letter one week ago, we understand, Esquivel-Frampton was informed that she'd have to leave. It's big news because, first, tourism is the country's leading foreign exchange earner and Esquivel Frampton becomes the third director to demit office in just 6 years. She assumed office 22 months ago in May 2012, replacing her predecessor Seleni Matus who resigned after 19 months. Matus resigned because of the push and pull with then CEO Lindsey Garbutt, and from what we have been able to gather from sources, much the same happened here between Esquivel Frampton and the current CEO Tracy Taegar-Panton. Multiple sources tell us the two had major and ongoing differences - which did carry over to senior management. And to make matters worse, this year there's a deficit - and it's into the millions of dollars - which- we are told - is being put at the door of Esquivel Frampton. And whoever's to blame for going so deep into the red, the fact is that the picture painted in the public sector leadership of tourism industry, is that while numbers continue to improve, since 2008, the Board has gone through three chairmen and is looking for a fourth, the third director just resigned like the two that preceded her, and the Ministry is on its third CEO. All this in an industry - that, because of its central role in the economy and national life - should be the model of institutional stability. But, all that aside, the news really is that Laura Esquivel, the eldest daughter of Sir Manuel Esquivel, UDP party leader for 18 years, and two-term Prime Minister has basically been pushed out of office under a UDP administration, and no one can save her. 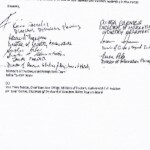 In their letter, the managers counsel Minister Heredia, quote, "we are fully conscious of the political ramifications...and we are fully prepared to stand shoulder to shoulder...to ensure a process that will have the least impact in your position.."
We are told that Esquivel is currently negotiating her departure package but that nothing has been finalized at this stage. There is a breaking story in the B.T.B. and that is Laura Esquivel-Frampton, the high profile daughter of former Prime Minister, Manuel Esquivel is resigning from the post of Director of Tourism. Esquivel-Frampton assumed the post in May 2012, and soon ran into trouble with the B.T.B. management and board. 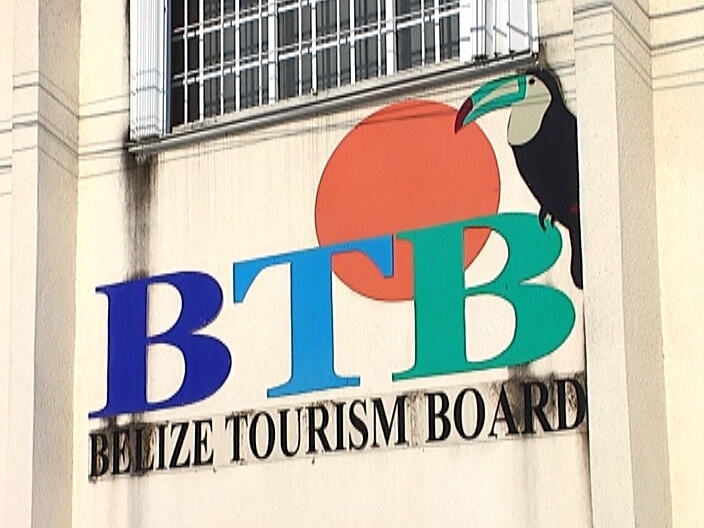 Last Wednesday, a group of seven directors on B.T.B.’s executive management team wrote Minister of Tourism, Manuel Heredia, requesting a meeting with him to outline several major concerns they are having with Director of Tourism, Laura Esquivel-Frampton. The group has since expressed a vote of no confidence in her management of the organization, particularly where it pertains to B.T.B.’s finances. Esquivel-Frampton is being called out by B.T.B.’s G-Seven for poor leadership, citing that she is not transparent in her motives. The director’s actions, they say, are both secretive and manipulative and directly responsible for the loss of optimism among the staff. In the letter, forwarded to C.E.O., Tracy Panton, and B.T.B. Chairman, Einer Gomez, the heads of department say, “It is clear that the best interest of the industry is not being considered as is evident in the current financial management concerns that exist, which have not only limited the ability of the various departments of the B.T.B. to fulfill their mandates, but also resulted in significant dissatisfaction with industry partners. After a series of very serious meetings, at the highest level, as a management team…the most recent being February twenty-eight, we feel that she has disregarded our concerns, especially as it pertains to the finances of the institution. 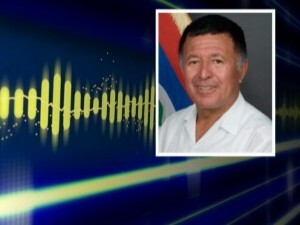 Moreover, all calls made for further discussion or ‘deep diving’ into the current financial position of the organization have been largely discounted.” News Five has made several attempts to get a comment from Minister Heredia, C.E.O. Panton and B.T.B. Chairman Gomez, but all attempts were futile. Director of Tourism Laura Esquivel-Frampton has officially demitted office, following a two-year stint as head of the Belize Tourism Board. Her resignation from the post was formally confirmed via press release earlier today because on Wednesday night, we told you that she was on her way out from the lucrative job. Esquivel-Frampton’s tenure has been mired in controversy. 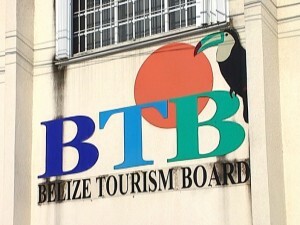 Last week, a letter was sent to Minister of Tourism Manuel Heredia signed by seven members of B.T.B.’s executive management team. Contained in that document are a number of issues pertaining to her management style which are described as both manipulative and egotistical. 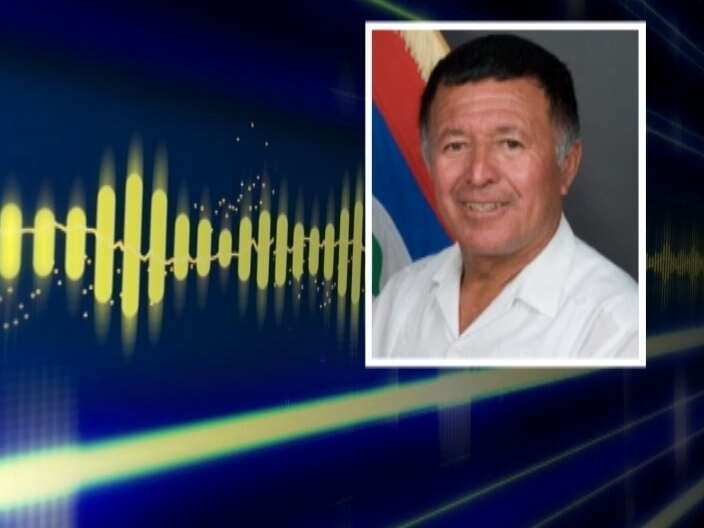 While Heredia says the letter never made it to his desk, he admitted to being aware of the problems and that he had met with both parties on separate occasions to address their discontent. B.T.B.’s G-Seven blasted her for failure to display the necessary leadership, honesty, transparency and integrity during the budget process. The sharp criticism has raised concerns of financial mismanagement and acute cash flow issues. But the release sent out today by the B.T.B. says Esquivel-Frampton resigned for personal reasons and she was credited for bringing her business acumen from the financial and marketing sectors to the organization. The minister spoke today to News Five of the turmoil at the oversight body for one of the biggest industries in the country. Via Phone: Manuel Heredia Jr. Since being appointed the portfolio of Minister of Tourism in 2008, the posts of Chief Executive Officer and Director of Tourism have been revolving doors in Heredia’s ministry. Current C.E.O. 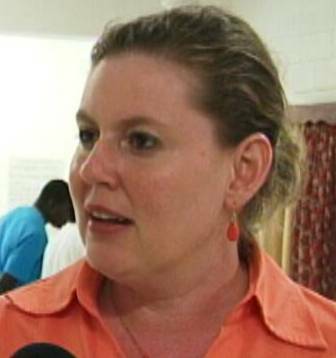 Tracy Panton is also former Director of Tourism. During her term in office, Mike Singh was C.E.O. in the ministry. Panton served in that capacity for ten years before being replaced by Seleni Matus in February 2010. When Matus succeeded Panton, Lindsay Garbutt was appointed second in command of the ministry. Their relationship, we understand, was rather contentious. Following general elections in March 2012, Panton was elevated to C.E.O. and Esquivel-Frampton promoted to Director of Tourism two months later. In the wake of Esquivel-Frampton’s sudden departure, Director of Revenue Collections and Registrar of Hotels Javier Paredez will serve as Interim Director. All be told, B.T.B. is now looking for its fourth director of tourism in a span of six years. The Belize Tourism Board sent out a sheepish release this afternoon confirming what everyone knew yesterday: Director of Tourism Laura Esquivel-Frampton has resigned. 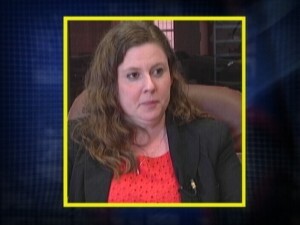 The release tries to gloss over her tumultuous departure, saying that was resigning the position for personal reasons. It adds quote, "During her tenure, she conducted herself with integrity, genuine concern for the industry and fiscal accountability." That last part, about "fiscal accountability" alludes to the concerns raised about the multi million dollar deficit the BTB finds itself it. The consequent across the board budget cuts for the coming fiscal year is what seems to have tipped the entire situation and led to the unprecedented mutiny by the BTB senior managers. Seven of them signed a letter of no confidence and sent it to the minister one week ago. After that, Esquivel Frampton's fate was all but sealed, and the fact of the deficit left Cabinet with its hands tied. And so, the daughter of the UDP's two time Prime Minister was pushed out of the job after two years, serving only a few months longer than her predecessor Seleni Matus who was also pushed out. Overall, it does not create a favourable impression of the BTB as a well-governed or stable organization. And so, the Director of Revenue Collection Javier Paredez, now takes the helm as Interim Director – his second stint in the job – that he last took up when the previous Director was pushed out. In that case, it wasn't as messy because there wasn't an ugly no confidence letter. And that letter would make anyone wonder how do 7 managers in a quasi government body become so bold as to take on, and take out their Director – and one with a high level of political protection. Well, best guesses are that they had to have been provided with some assurance from someone high up that their grievance would not fall on deaf ears, and that they wouldn't be endangering their own jobs. The managers even promised their bigger boss, the Minister, political protection, saying, quote, "we are fully conscious of the political ramifications…and we are fully prepared to stand shoulder to shoulder to ensure a process that will have the least impact on your position as Minister of Tourism." And while Heredia at least had that offer of political protection, there was very little for Laura Esquivel Frampton, the eldest daughter of the former UDP Leader Manuel Esquivel. 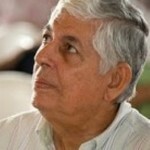 In this regard, it is of note that Sir Manuel Esquivel was recently bounced as Chairman of the Central Bank of Belize. 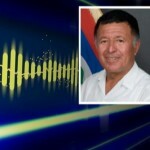 That appointment is year to year, and after one year, Esquivel's appointment was not renewed by the Prime Minister and Minister of Finance, Dean Barrow. Sir Manuel remains on contract as Advisor to the Prime Minister, and an appointee to the Boards of BTL and BSI. Sir Manuel Esquivel and his wife Kathy have resigned all government posts and appointments in protest of their eldest daughter Laura being pushed out as Director of the Belize Tourism Board. Sir Manuel confirmed to us that he resigned as Senior Advisor to the Prime Minister in a letter sent to the Prime Minister last Thursday March 13th. He confirmed also that he is stepping down as government appointed Director on the Boards of BTL and BSI. Esquivel would not comment on the reasons for his blanket resignations, only to say, "There is a tide in the affairs of men." Thursday March 13th is also the day that Kathy Esquivel resigned as Chairman of the National AIDS Commission. She had been on the board since 2002 as opposition representative, and was named Chairperson in 2008. She told us that she is resigning for personal reasons. These dramatic resignations come after their daughter Laura Esquivel officially resigned as BTB's Director of Tourism on Wednesday March 12th. Prime Minister Dean Barrow did not answer our requests for a comment today. It is a notable event in the UDP as the Right Honourable Esquivel is an icon of the party. He was leader for 15 years and ushered in the modern era of the UDP by leading the party to its first general election victory in 1984. He is also a two term Prime Minister. His resignation - and that of his wife - can only be taken as an indictment of current UDP Leader Barrow for what they take to be an affront - that their daughter was kicked to the curb during a UDP administration. Indeed, Laura Esquivel fell from the greatest of heights when she was pushed out of the BTB by a palace coup 12 days ago - a coup which informed observers believe had to have been orchestrated at a high level - high enough that the managers felt confident enough to undermine and humiliate sir Manuel's daughter - without worrying that they would lose their jobs. So have Sir Manuel and PM Barrow spoken about his abrupt and complete departure? Short answer is, "No." Esquivel tells us that when he wrote the PM last Thursday, the PM wasn't in the country, and he doesn't even know if he has seen the letter. Sir Manuel who is in semi-retirement tells us that he will now be fully retired. As for how it will or won't affect the rank and file of the UDP - party insiders point out that while Esquivel is a respected past leader, he does not have die-hard loyalists, per se, within the Barrow administration, so it is not a blow to the government. The Esquivel family – Sir Manuel, his wife Kathy and their eldest daughter, Laura; prominent names in the hierarchy of the United Democratic Party – has resigned from key appointments under the Barrow Administration. It is a serious blow to the U.D.P. because the Esquivels are considered a powerful family within the echelons of the party. Tonight, we can confirm that the two-term former prime minister has relinquished his post as senior advisor to Prime Minister Dean Barrow. We can also verify that Kathy Esquivel has stepped down as chair of the National AIDS Commission. As former prime minister, Manuel Esquivel plays a major role in the U.D.P. Most recently, he served as chairman of the Central Bank until six months ago when he was replaced by John Mencias, following the cancellation of his annual contract. But Esquivel has been serving on numerous boards since he demitted office as prime minister in 1998. Both resignations come less than a week after a coup by executive managers of B.T.B. which resulted in Laura’s leaving her job as Director of Tourism. When we contacted them today, the Esquivels maintained that their resignations are for personal reasons. 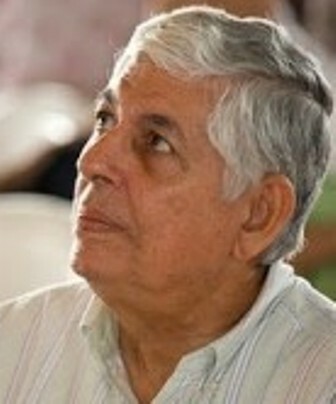 Sir Manuel Esquivel served as prime minister of Belize from 1984 to 1989 and then from 1993 to 1998. Kathy Esquivel has been instrumental in raising HIV/AIDS awareness in Belize, serving as chair of the board of directors for the National AIDS Commission for several years. 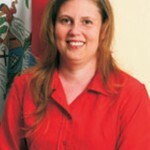 Laura Esquivel is a former city councilor and was employed at B.T.B. as Director of Product Development and was promoted to Director of Tourism in 2012 when she succeeded Seleni Matus. It is believed that the string of resignations is a protest for her ouster from B.T.B. Have the utmost respect for the family and how Manuel and Kathy conducted themselves while he was PM. Kathy's resignation is a terrible loss for NAC, NGP and all social forward thinking causes. Esquivel was the last honest politician, unless you can name one now that is as well. I can't. A letter is being sent from Prime Minister Dean Barrow to former Prime Minister Manuel Esquivel. That is what we are told this evening by Sir Manuel, but he says it is on its way from Belmopan, and he hasn't received it yet. What will the letter say? Will it be an attempt at reconciliation between Barrow and his former Party Leader? Well, at this point we don't know, but it is a response to Sir Manuel's letter, which he sent last week announcing his resignation as Senior Advisor to the Prime Minister. But, the vibe we are getting out of Cabinet this evening is that it will be respectful, but it may not be conciliatory. We are told Cabinet discussed the subject today at its regular Tuesday meeting and the concensus sentiment was that nothing special would be done to try and patch things up. That's because bubbling under the surface, it seems, is a matter of respect between former Prime Minister Esquivel and current ministers. The current minister of tourism Manuel Junior Heredia says he was disrespected when he was summoned to meet with Laura Esquivel Frampton and her father at Sir Manuel's house to discuss her departure. Sir Manuel told us that Heredia called Laura Esquivel to meet with her, but she didn't want to meet at the BTB because the Palace coup had already taken place. So Sir Manuel suggested that she tell Heredia he can meet at his house - which Sir Manuel says was not a summons to the minister. But that's how it was interpreted, and this has created a real sense of bad blood between the Cabinet on one side and Sir Manuel on the other. Also, there's information which says a message was sent from the former Prime Minister to the current one about PM Barrow's apparent lack of support for Laura Esquivel-Frampton's plight. Put all this in the larger context of Sir Manuel's appointment as the Chairman of the Central Bank not being renewed earlier this year, and now the unceremonious departure of his daughter from the BTB, there appears to be abiding ill will on both sides. As we noted last night, this is not expected to affect the UDP internally because there are few Esquivel loyalists still in senior positions, but outside the UDP, Esquivel is a statesman, and a man of integrity, and his continued association with the party - in the past - is certainly believed to have had a positive effect on swing voters. Whether that logic still applies in local politics, is yet to be tested. As we reported last night, the U.D.P. is rocking from the resignation from the two time former prime minister and party leader of the United Democratic Party, Manuel Esquivel. His abrupt resignation last week on Thursday, as advisor, was followed by that of his wife Kathy as chair of the National Aids Commission. The Esquivels would not confirm but it is widely believed that their departure from senior government posts has everything to do with the ouster of Laura Esquivel-Frampton as Director of Tourism from the Belize Tourism Board. That happened when the Prime Minister was in St. Vincent and the Grenadines at a CARICOM intercessional meeting and from what we know, it was expected at least by the Esquivels that the Prime Minister would have intervened to protect Laura. It didn’t happen because the PM Barrow stood by the Minister of Tourism, Manuel Heredia Junior. Over the weekend, there was no rapprochement between the sitting prime minister and his predecessor. Now from what we know, the resignation of the Esquivels was discussed extensively in cabinet today, and it is expected that he will be formally acknowledged for his work with the U.D.P. over the years. But as far as the Esquivels returning to government work; that is not in the cards. The acknowledgement will be done through correspondence. Sir Manuel Esquivel, KCMG, PC—the ex-Prime Minister who led the ruling United Democratic Party (UDP) to its first general elections victory in 1984 and the current finance advisor to Prime Minister Dean Barrow—has confirmed to Amandala that he has resigned from all his government appointments, and his wife, Mrs. Kathy Esquivel, has separately confirmed that she, too, has resigned from her prominent appointment as head of the National AIDS Commission—this on the heels of the abrupt departure of their daughter, Laura Esquivel-Frampton, from her position as head of the Belize Tourism Board (BTB), following a letter by 7 BTB managers to Tourism Minister Manuel Heredia, Jr., expressing a “vote of no confidence” in Esquivel-Frampton’s leadership. 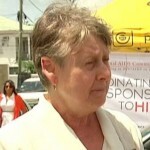 On Thursday, March 13, the day after the BTB announced Esquivel-Frampton’s resignation, her mother resigned from the National AIDS Commission in Belize with immediate effect. 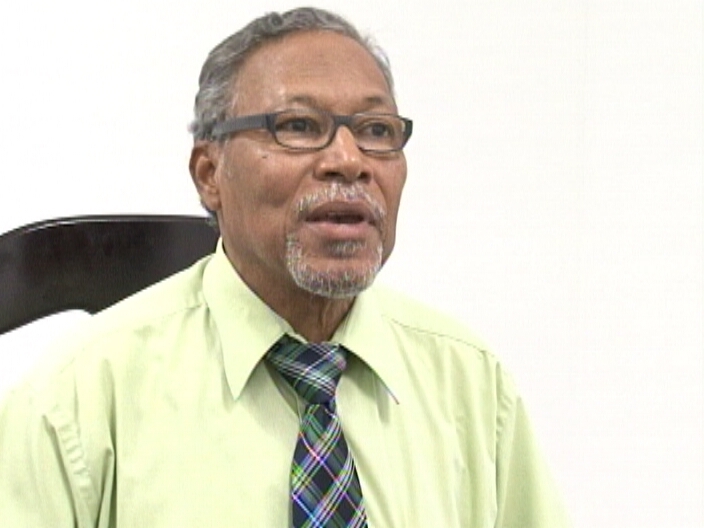 Sir Esquivel—who has been serving as one of PM Barrow’s finance advisors, as well as a government-appointed director of Belize Telemedia Limited and Belize Sugar Industries—has also announced his immediate resignation. Esquivel first entered public life four decades ago, when he served at the Belize City Council. He told us today that he is now returning fully to his private enterprise, Price & Company Ltd. Neither Sir Esquivel nor his wife would confirm to Amandala that their resignation was in protest of what transpired with their daughter last week. Sir Esquivel said that he would like to keep his and his daughter’s life separate. His wife told us that she resigned for personal reasons. When we indicated that the timing of their resignations suggests that they are resigning in defense of their daughter, they responded by saying that that was our inference. 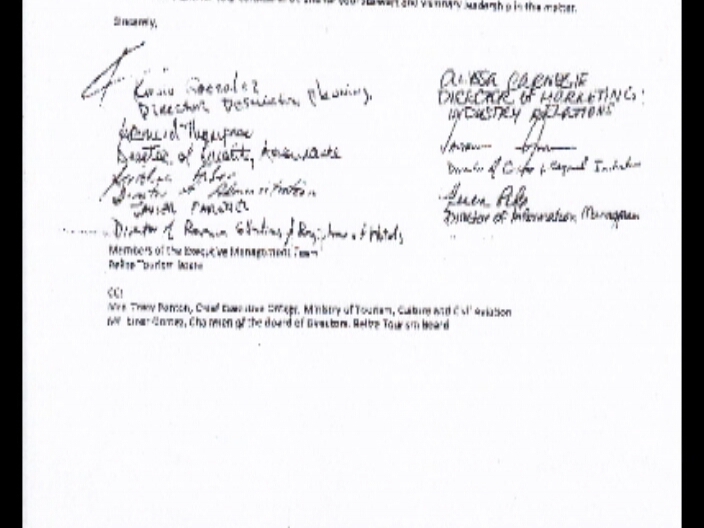 Some observers believe the grievance letter against Esquivel-Frampton was designed to push out the director of the BTB from the high-profile job because of a schism between her and the management team – others contend that it was engineered to make her a scapegoat for the financial quagmire being faced by the BTB, which is reportedly millions in the red. As we reported in the weekend edition of Amandala, Esquivel-Frampton turned in a sick leave paper last week, but BTB issued a statement, announcing her resignation, while she was on sick leave. Notably, the BTB’s official press release lauded her performance as BTB director, despite the grievance letter filed against her by her management staff. 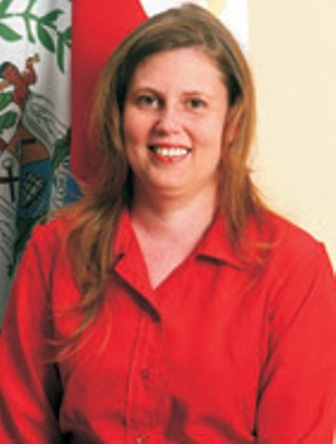 Esquivel-Frampton—who served two terms in Belize City as UDP councilor (2006-2012) and who was part of a group of 7 which was at odds with former Belize City mayor Zenaida Moya back in 2010—resigned right after that controversial letter was leaked to the media, catapulting the dispute into the public spotlight. The upheaval at the BTB transpired while Prime Minister and Minister of Finance, Hon. Dean Barrow, was in St. Vincent and the Grenadines attending the 25th Inter-Sessional Meeting of the CARICOM Heads of Government. Sir Esquivel, who is also listed on the UDP’s website as immediate past leader and Rules Committee Chair, told our newspaper that the Prime Minister only effectively returned to his office today, and he is awaiting Barrow’s reply. Amandala tried to reach PM Barrow at his office today, but he did not return our call. The departure of Sir Esquivel, who has played a key role in helping to stabilize both the electricity and sugar sectors, happens amid deliberations on the national budget in Parliament. Last week Thursday, former two-time U.D.P. Prime Minister Manuel Esquivel and his wife Cathy Esquivel officially resigned from all government positions held. They did so in protest, in the wake of their daughter Laura Esquivel Frampton being forced to resign from her position as Director of the Belize Tourism Board after a well-orchestrated and high level coup. The resignations of the elder Esquivels is extremely significant, so much so that it rated a lengthy discussion in Cabinet on Tuesday. Today Cabinet Minister Godwin Hulse told us that while tempers may be flaring at this point, he believes that fences will be mended with time. "Quite generous" is how former two term Prime Minister Sir Manuel Esquivel described Prime Minister Dean Barrow's letters to him. He added that the letter had no rancor, but when asked if it suggested any reconciliation, he said, plainly, "That ship has sailed." So that should be the end of this episode, where Sir Manuel and his wife Kathy have made a clean break with the Barrow Administration. Going forward, he is expected to continue to play some role in the UDP - however diminished. But one commentator with some political experience feels Esquivel was major-ly disrespected. Former PUP Minister Godfrey Smith in his Flashpoint column today writes that Manuel Junior Herredia should have gone to meet Sir Manuel and his daughter Laura at Sir Manuel's house because he is the party's only statesman. Smith writes, quote, "It's not as if Sir Manuel attempted to beckon the prime minister or even a deputy prime minister; it was just the minister of tourism known by most as "Junior Heredia". Smith concludes, "Mr. Esquivel might have outlived his usefulness to the UDP, but not to history."